The goal of the annual IndiaSoft conference is to promote the trade between the Indian IT industry and the rest or the world. The conference is sponsored by the Indian government, whose strategy is to broaden trade for its industries beyond their traditional markets, where growth is stalling. New targets are the emerging markets in Asia, Africa, Latin America, and Eastern Europe. To support this strategy, company delegations from more than 100 countries are invited to the conference, where they meet with about hundred and fifty Indian software companies to explore mutual business opportunities. In addition, the foreign delegates are also networking with each other, creating a truly global business event. Because U.S. companies do not show much interest in attending the conference, there were only a handful of American companies represented. However, global business moves forward without American participation and I am sure the U.S. missed out on opportunities. As a result of the government policies, India’s trade with the second and third world is growing fast. In many cases technology solutions developed in India for the domestic market are better suited for the developing world than leading edge technology from the West. For example, because only a small percentage of the 893 million (that is not a misprint!) mobile users in India owns smart phones, some really creative mobile solutions have been built around SMS technology. These Indian solutions are a much better fit for the developing world than the latest US mobile apps technology. 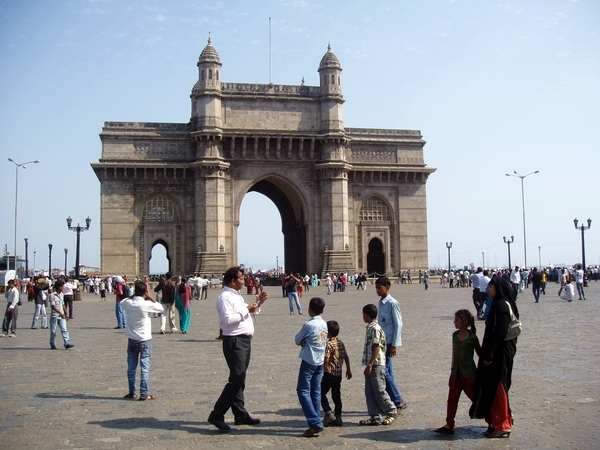 What are the opportunities for American companies to benefit from the growing Indian economy? The Indian economy is growing at a rate of 8-10% per year, and, as a result, the spending power of the middle class has been growing rapidly. Indian companies are certainly capable of addressing the development and volume manufacturing of basic technology products, but the market is beginning to demand more sophisticated products and services, which Indian companies are not able to offer, at least not yet. That creates opportunities for U.S. companies to step in. An example is the development of world class websites. Indian software companies clearly do not need help with developing software for complicated websites in a cost effective way. However, good technology does not necessarily make a great website. There is a need for Disney style graphics design, as well as creating designs that optimize effectiveness from a marketing viewpoint. Another example is advanced industrial design. Until now India has primarily offered services, but it has begun moving towards products. This creates a need for help with modern product design. India is a huge country inhabited by about four times the population of the U.S. and the culture will be unfamiliar to most Americans. For smaller U.S. companies it is best to partner with an Indian company that is successful in the market, and that can enhance its marketing offering with U.S. products and services. Similarly, in the opposite direction, small and medium sized Indian companies need help to overcome the challenges of the U.S. market. Traditionally they have been relying on referrals by “friends and family” in the United States, but to scale their business they need partners to help them with marketing, sales, and account management . Such a partnership can create a win-win situation for both the U.S. and the Indian company. It allows the U.S. partner to complement their core expertise with cost effective add-ons, which may make them more competitive in their own market. How to find a potential Indian partner and explore a business relationship? One starting point is the Indian entrepreneurial community in Boston. If you are in high tech, it is unlikely that you have not been working with professionals of Indian descent! Many Indian entrepreneurs are members of the Boston chapter of TiE (The Indus Entrepreneurs), a global organization of Indian entrepreneurs, started in the nineties in Silicon Valley and Boston. TiE now has 57 global chapters, including 17 in India. Being a member for almost ten years has not only made me feel comfortable with the Indian entrepreneurial culture, but has also helped me with introductions to meet member-entrepreneurs of TiE’s chapters in India. I have also been working with ESC, the Electronics and Computer Software Export Promotion Council of India, an industry organization promoting international business of its members, which are small and medium size electronics and software companies. ESC is the organizer behind the IndiaSoft conference, which will be held this year in Hyderabad in March. On April 3, Brandeis University International School of Business organizes a conference, the Global Trade Summit 2012, where one of the tracks will focus on doing business with India. I recommend that Boston companies explore the exciting opportunities of doing business with India. Jos Scheffelaar is the CEO of Launch in US Alliance and the Chair of the Netherland-America Foundation Boston. He serves as a Boston World Partnerships Connector.